New Delhi, May 23: The letter of Delhi Archbishop Anil Couto asking the church leaders and members of the Catholic community to pray and observe fast on every Friday till the 2019 elections are held to defeat the ‘nationalist groups’ has evoked nationwide criticism from various organisations, political parties and lay people. 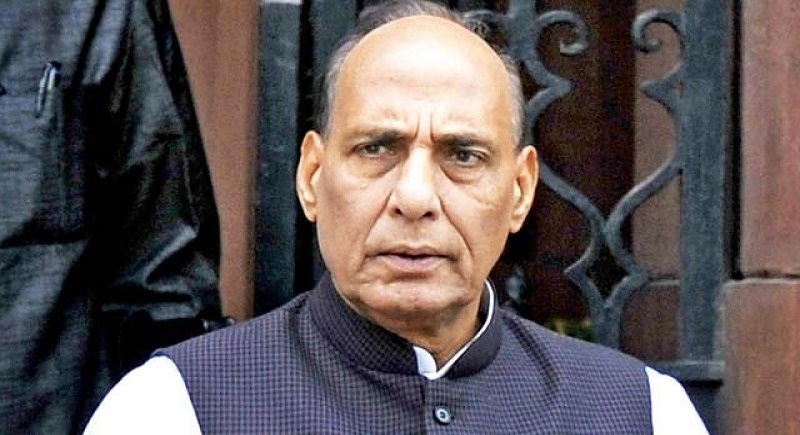 Union Home Minister Rajnath Singh criticised Father Couto and said “there was no discrimination against anyone. I have not seen the statement (of the Archbishop) verbatim but all I can say that India is a country where there is no discrimination against anyone on the basis of caste, sect or religion. Such a thing cannot be allowed”. BJP President Amit Shah also attacked the Archbishop for “polarising people in the name of religion” and said that this was “not appropriate”. “it is not appropriate if anyone is talking about polarising people in the name of religion”, Amit Shah said. When his attention is drawn to the Opposition leaders supporting Father Couto, Shah said, “it is very obvious that our rivals will support such a statement. If somebody speaks about defeating us, it is natural that they will support him”. Union Minister Mukhtar Abbas Naqvi also criticised Fr Couto’s statement saying that it reflected a “prejudiced mind”. Another Union Minister K J ALphons said “godmen should refrain from making political comments. Naqvi said that the Prime Minister’s commitment to development without discrimination should be seen as an eye opener. But those having prejudiced mind cannot look at this progress, he added. Vishwa Hindu Parishad (VHP) joint general secretary Surendra jain said that the “Archbishop’s statement is tantamount to interference in India’s internal matters and an attack on its sovereignty”, as the Archbishop is appointed directly by the Vatican, the highest religious seat of Catholic Christianity. Jain said “Whenever there is a non-Congress government the Christian religious leders see a threat to secularism. Such statements not only tarnish the image of the Hindus but also of the Mother India”, Jain said. However, BJP’s political adversaries like TMC and its supremo Mamta Banerjee, TDP and its leader Chandrababu Naidu, CPM’s Sitaram Yechuri supported the Archbishop and endorsed his observation of “turbulent political atmosphere’ posing threat to India’s democratic principles and secular fabric”. “I think whatever he (archbishop) said was correct. It is a fact”, Mamta Banerjee said. “We have great respect and respect for all communities, castes, and creed. We respect all the archbishops in the country”, she added. CPM’s Sitaram Yechuri said that the Archbishop has only called the people for prayer. Commenting on their support BJP President Amit Shah said that it was not surprising that Mamta Banerjee or Chandrababu Naidu supported the Archbishop’s views since his letter’s contents were in line with the opposition’s agenda to oust the NDA government in 2019. “The statement served the purpose of the opposition, therefore it is obvious that they will support it”, Shah said. Meanwhile, the Archbishop’s office has issued a clarification stating that the Father had not named any particular leader or a party. “The appeal to pray for the nation ahead of 2019 general election was not aimed at Prime Minister Narendra Modi, the BJP or any other political party”, the Delhi Archbishop Anil Couto’s office clarified on Tuesday. The Archbishop’s office also expressed anguish at the “created controversy” over an appeal for peace that ‘does not target anyone and does not tell people who to vote for or against’, the office of the Archbishop clarified.